History - Lucky Strike Bait Works Ltd. Lucky Strike Bait Works Ltd. Producing quality and value for fishing enthusiasts' for 90 years We offer a full selection of lures, nets, and tackle true to the roots of our brand, for anglers of all skill levels. With the Lucky Strike name given to an extremely successful range of spoons, spinners wobblers and various kinds of ingenious baits for fishermen, Lucky Strike Bait Works Ltd. has successfully serviced fishing enthusiasts' needs for more than ninety years. 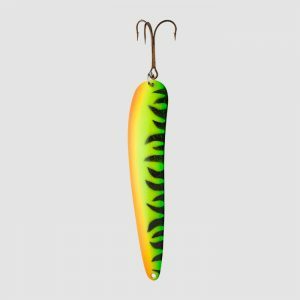 Producing a wide range of fishing lures, landing nets and the famous Lucky Strike wooden plugs, which launched the company Lucky Strike Bait Works Ltd. has evolved as one of North America's oldest and largest tackle and landing net manufacturer. A love of fishing, an ability to fashion wooden fishing lures, and a consuming drive to succeed were the three factors that launched a pre-depression hobby into a booming business. Frank (Rusty) Edgar, the company's founder, had graduated as a pattern-maker in the mid 1920s and had found work in the automobile industry, but with the onslaught of the Great Depression in 1929, he returned home to Peterborough, Ontario. Edgar spent countless hours in his workshop garage, where he began to improve some wooden plug baits that he had previously fashioned out of broom handles. Asking the neighbours to save their old wooden broom handles, he later began to obtain broom handles culled from a local broom factory. Made of birch and maple, his wooden plugs were quite heavy and ran deep in the water. His success as a fisherman on the banks of the nearby Otonabee River attracted the attention of other anglers, who asked him to sell some of his lures, making his first sales at one dollar a piece. With a limited market by selling only from his tackle box, he obtained permission to place a wall display of his lures in a local barbershop. A representative from Direct Factory Sales of Toronto, who was receiving a haircut, noticed the lures and contacted Edgar, who provided him with a selection of his best lures. In late 1931, Edgar was finally contacted once again by the agent, who gave Edgar an order for 10,000 plugs to be ready the following May at fifty cents each. Obtaining a seventy-five dollar loan, he purchased a shipment of cedar, hired two boys to cut the lumber, and then he turned it into plugs on his wood lathe and painted them. Working long hours, he was able to finish the order on time. With the money from that sale he was able to procure more machinery and began adding a long list of other lures to his selection. Needing a name for the company, Edgar held a contest and the name Lucky Strike was chosen. As sales continued to grow, the reputation for the wooden plugs soon spread across Canada. After adding two extensions to his garage workshop, in 1939 he was able to build a complete new shop, prospering and growing in the face of strong competition from the larger United States companies. Lucky Strike's line of products was enlarged to include fly reels, split bamboo rods and landing nets, which sold at a rate as high as 30,000 units a year. 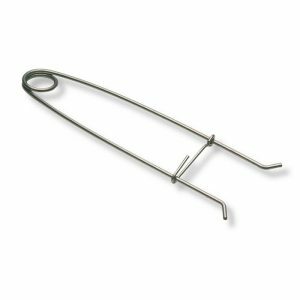 A second factory was added in 1944 in Cobourg, Ontario to produce treble hooks, split rings and swivels, with practically the entire output designated for export. After World War II, during which time the Peterborough plant was switched to the war production of search light parts and machine work for armoured cars, an addition was added to the Peterborough plant, and in 1952, all production was consolidated at the Peterborough facility. Plastic lures were soon added to Lucky Strike's growing list of products, as was the submarine plug, which Lucky Strike perfected. The company's continuing success began to interest the competition, who offered to purchase Lucky Strike, but the Edgar family steadfastly refused to sell the family business. A further extension in 1970 added 15,000 square feet of manufacturing, storage and office space to the company. Needing more space and with no further room to grow, in 1987 the company relocated to a new site in Peterborough, with integrated production facilities designed and constructed for Lucky Strike's specific needs. Unable at times to find manufacturing equipment exactly suited for the company's requirements, Lucky Strike has designed and adapted a number of machines over the years for its unique production needs. One such machine is the company's automatic buffing machine, capable of polishing thousands of tiny parts a day and fulfilling a prime requirement for a successful lure—that its shiny and colourful surface catches a fish's attention. In addition, the company has made all the dies for the designs it has developed over the years. Lucky Strike has also evolved into an extended family business, now in its fourth generation of the Edgar family. Founded by Frank Edgar and aided by his wife Elsie, their son Bill has assisted at the shop since boyhood. After graduating as a tool and die maker, Bill Edgar became General Manager and when his father passed away in 1979, Bill and his wife Cora assumed the leadership of the business. Today, Bill and Cora's daughter and son-in- law, Mary and Kim Rhodes, have taken the role of Lucky Strike's General Managers, and their son Dustin is following in their footsteps. Bill and Cora's youngest daughter Diane is also working for the family business. Always strongly interested in the viability of Lucky Strike lures, the Edgar family has made many trips to lakes and rivers across Canada, from the Maritimes to British Columbia and to Great Bear Lake in the North West Territories. All Lucky Strike lures are designed by the company for inland fishing, and each year new lures are developed by the company craftsmen to replace those lures that have lost their popularity. Also, there are always the many Lucky Strike lures that remain a favourite, year after year. Kim Rhodes explains, "Our wide array of lures reflects both the company's own judgment on what will sell, and the feedback we receive from fishermen. After all, the lures must also appeal to the anglers, and not only to their quarry." Assembly of the lures is an intricate task carried out by skilled workers who produce perfectly finished lures almost faster than the eye can see. 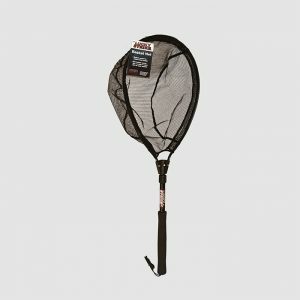 In addition to the plugs, spoons, spinners and landing nets that Lucky Strike manufactures, the company also markets other fishing tackle such as leaders, swivels and split rings. Bill Edgar, who is now retired, emphasizes that the company has been consistently successful because Lucky Strike has always focused itself on its field and doing what it does best: designing and producing a range of quality fishing tackle that has appealed to fishermen for more than half a century. 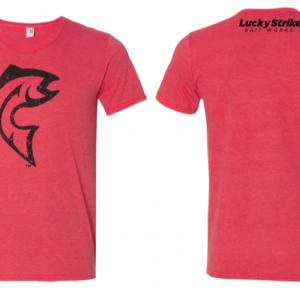 With this unique knowledge and relationship with fishing enthusiasts, Lucky Strike Bait Works Ltd. has earned itself a place of recognition and respect among anglers across North America, and has assured itself continual growth in the future.